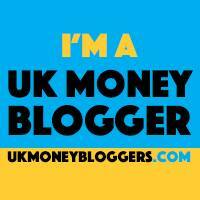 June 2, 2018 By Morgan M Woods 6 Comments This post may contain affiliate links. 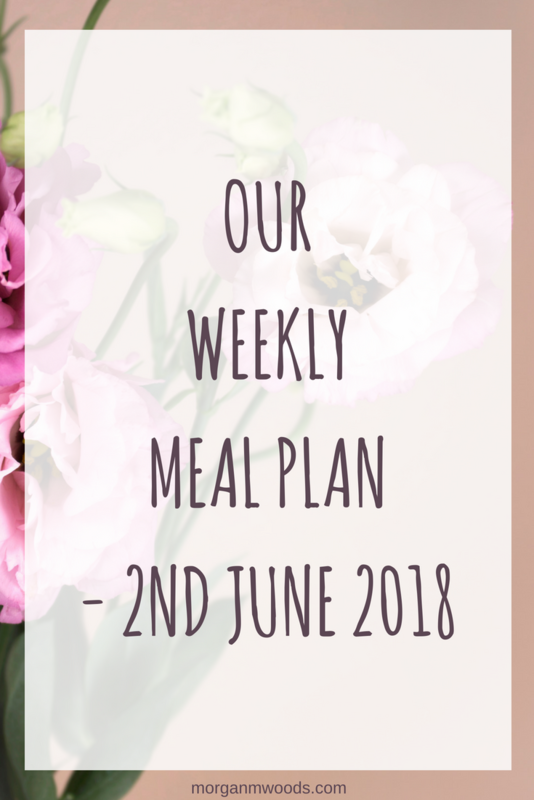 Here is our weekly meal plan – 2nd June 2018. Each week I link up with The Organised Life Project and Katykicker for this weekly meal plan linky. 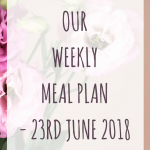 Monday – Something with leftover roast chicken? I’m not sure what this will be yet but maybe a pasta bake type dish? Or curry with rice? I’m trying to eat up what we have rather than buy more food this week so this will be muddled together at the time. Tuesday – Spaghetti and meatballs. We have some Quorn meatballs in the freezer which I love so I’ll do them with a tomato sauce and spaghetti. Wednesday – Chicken fajitas made in the slow cooker. I love this recipe! I use tons of peppers, onions, garlic, paprika and a tin of tomatoes along with some chicken breasts. Bundle everything in the slow cooker and then when it comes to tea time we just fill our wraps with it. Thursday – Sausage and mash with broccoli and gravy. Another of our family favourites. Friday – Freezer food/leftovers, our day to eat up any leftovers or pot luck from the freezer. Saturday – Homemade pizza. I’m still perfecting the recipe for the bread maker (it seems to change every time I do it!). Sunday – Roast dinner, I’m not sure what meat there will be but will include all the other trimmings. Homemade pizza sounds like a winner. I’ve been wanting to try a recipe for a beer pizza crust recipe. It’s been bookmarked forever. Great meal plan. I know I say this a lot but I absolutely love sausage, mash and broccoli with gravy! 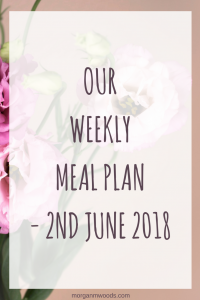 We’re having this next week as one of the meals on our holiday! Some great ideas here -love classic sausage and mash! Your meal plan sounds fab…. 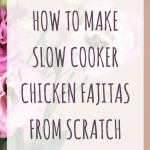 I have never made Chicken fajitas in the slow cooker. It sounds like a great idea. We made pizzas last week (not using a bread maker) and the boys loved doing it.